Arietta, composed by Rick Robertson, is a late-intermediate-level lyrical solo. Its plaintive melody over a rich harmonic palette appeals to pianists of all ages. I really liked this piece when it was first released but didn't purchase it until last week. I am excited to give this to one of my students next week. Beautifully written piece by Rick Robertson! It evokes a feeling of nostalgia as it begins and develops into a full bouquet of wonderful trips down 'memory lane'! This piece truly 'tells a story' and is a favorite in my studio. Kudos to Rick! This is a lovely piece that instantly starts to create a story in my mind. The story changes and develops differently each time I listen! 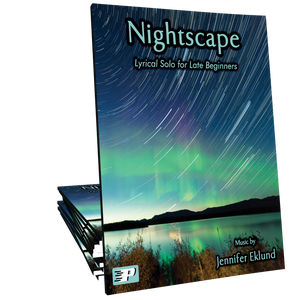 It's a perfect piece to discuss how music can create different moods and settings for your developing musician.